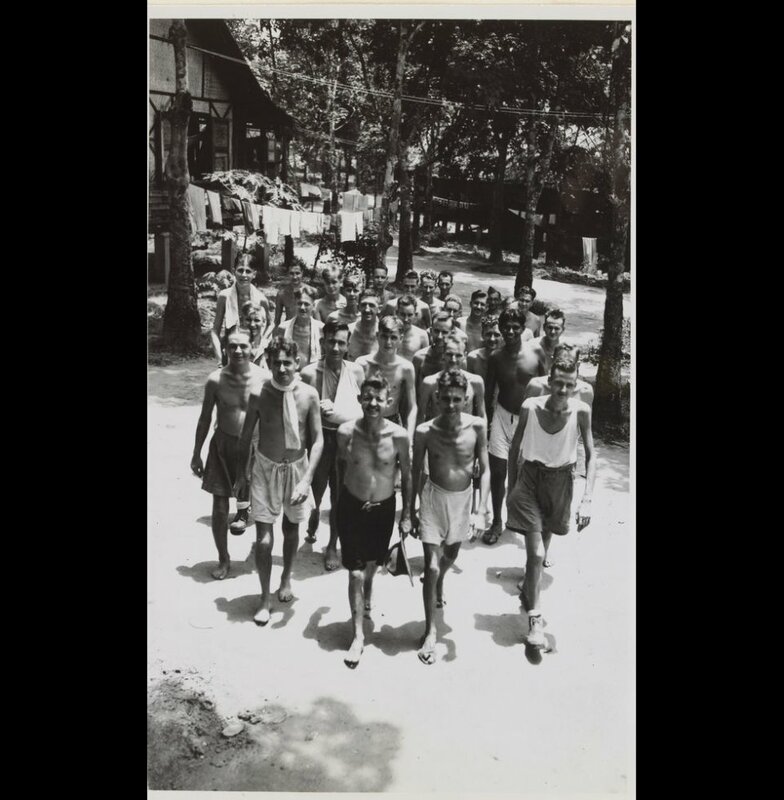 A group of Australian Imperial Force ex-POWs at Kranji POW Camp, at present they are being given medical treatment while they await transport back to Australia, 1945. Image courtesy of Argus Newspaper Collection of Photographs, State Library of Victoria. Accused was alleged to have ill treated Indian POWs by condoning and encouraging assaults by one Sherai. In this case, the Court decided to call its own witnesses. It is rather interesting because the Prosecution initially requested the court to allow these witnesses to be called as Prosecution witnesses. However, the Court declined the request and said that they wanted to call them as Court witnesses, the reason being that there was marked contradiction in the evidence given by the Prosecution witnesses and Defence witnesses, so the Court had to step in and resolve this difference. Kondo, Takeyoshi. Lieutenant. From Japanese military. From Japan. Not guilty. Symons, K. T. Lieutenant Colonel. From British military. Barrister-at-Law. Hussain, K. Major. From British military. Gupte, G. V. Major. From British military. Pleader, High Court, Bombay. Hiroshe, Washiro. Judge Advocate, Supreme Court, Tokyo. Sinclair, D. F. H. Captain. From British military.